The authorities issued tickets in exchange for Hôtel de Ville rentes, and winning lots were paid in cash and all in such a way that any group of people who had bought all the tickets stood to win a million francs. Voltaire entered into association with numerous company and struck lucky. For collectors of historical trivia, it is a delicious fact that the great Voltaire acquired his fortune, not by inheritance, not by his pen, but by outsmarting a state lottery. The lottery in question was set up by the Controller-General Le Pelletier-Desforts in 1729 in order to redeem a set of annuities issued by the Hôtel de Ville in Paris, in its capacity as creditor to the French government. Holders were invited to surrender their (substantially worthless) rentes for a chance to enter the draw. Tickets prices were proportionate to the holding, with a matching scale of potential winnings. In addition the treasury added 500,000 livres each month to the pot. 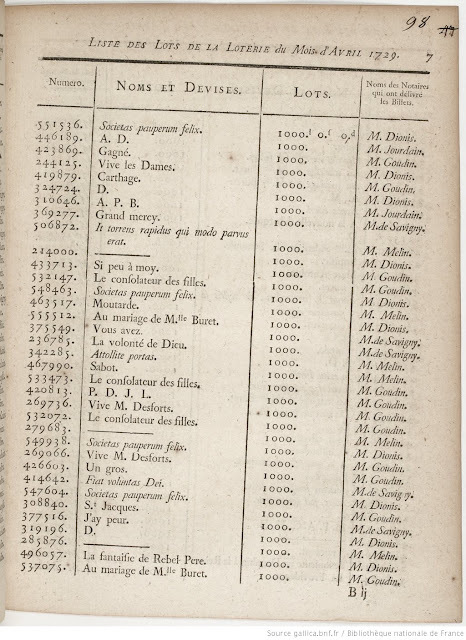 Voltaire's friend the mathematician La Condamine spotted the flaw - the prize increased with the value of the tickets, but the chances of winning did not; a syndicate which cornered the majority of small denomination tickets was guarantee a substantial return. 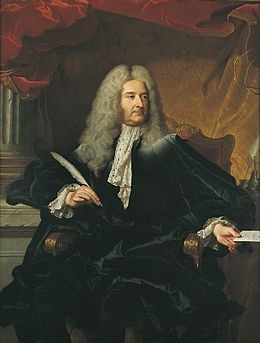 Voltaire was soon exercising his charms on one of the notaries of the Châtelet charged with selling tickets and registering details of the purchasers. One surviving piece of documentary evidence records that he “acquired all the ticket books on payment of a deposit without filling them in.” It took several months for the syndicate to be rumbled, the outcome was touch-and-go, but in the end the loser was Le Pelletier-Desforts who was dismissed for his incompetence. 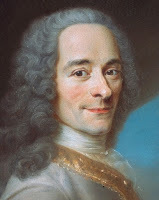 It is estimated that the syndicate garnered a million livres a month for almost six months, and that Voltaire personally amassed half-a-million livres. Purchasers were obliged to register their ownership by inscribing their names on the tickets, plus - by tradition - a "device" or good luck motto. The syndicate invented a colourful collection of names and saying such as "Here's to the happy idea of M(onsieur) L(a) C(ondamine); "Long live M. Pelletier-Desforts"; "I brought it in a barrow and I'll fetch it in a cab".